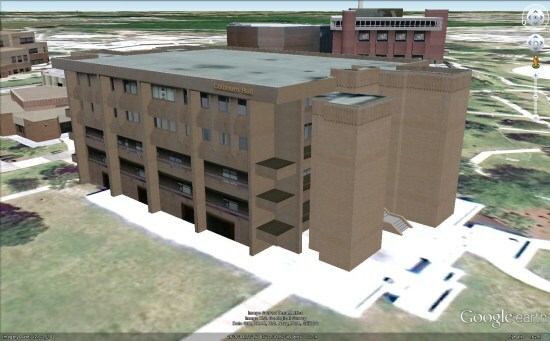 We’re big fans of 3D buildings and the realism that they add to Google Earth, and universities around the world are continuing to be the leaders in that area. Recently we showed you Terbuka University in Indonesia, and previously we’ve shown you excellent 3D campuses from Northeastern, the University of Wisonsin-Fox Valley, Central Florida and dozens of others. Today we’ll take a look at the University of Alberta. Lawrence Kwok emailed us to let us know that a team of himself and three other students (Max Amerongen, Matthew Hale and Veronica Krawcewicz) have modeled the majority of the campus, and it’s looking great! While the buildings are looking excellent, they’re far from finished. This summer they’re working through an initiative to redesign the online campus map. While the map currently has quite a lot of data in it already, they’re hoping to improve the mobile experience. 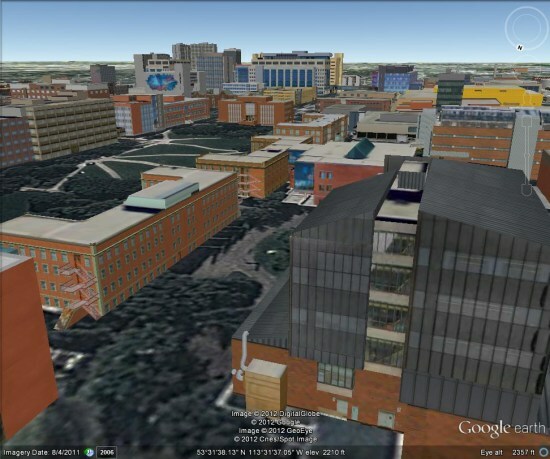 To explore their 3D buildings for yourself, you can visit this page on Google Maps or download this KML file to fly directly to it in Google Earth. We’ve talked a bit about Google’s Fusion Tables product before — a great way to turn a table full of data (such as an Excel spreadsheet) into a fully functional map! The maps can easily be shared through a Google Maps interface or even in Google Earth, but the mobile support for Fusion Table projects has been pretty weak. That’s where the folks from Build-A-Map have stepped in, with a new product called My Fusion Tables. 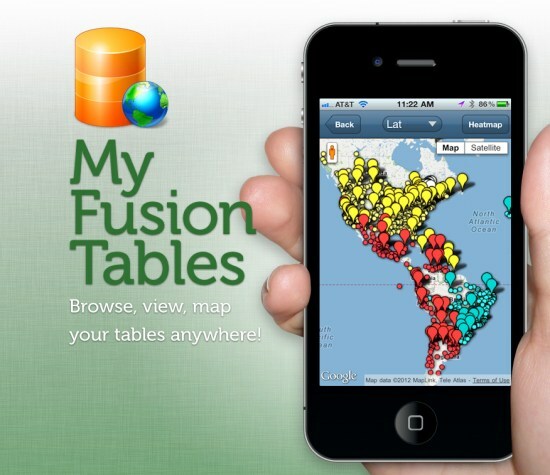 My Fusion Tables a mobile application that allows you to browse, view, and map data from Google Fusion Tables on both mobile phones and tablets. You can find it in the iOS App Store or on Google Play. 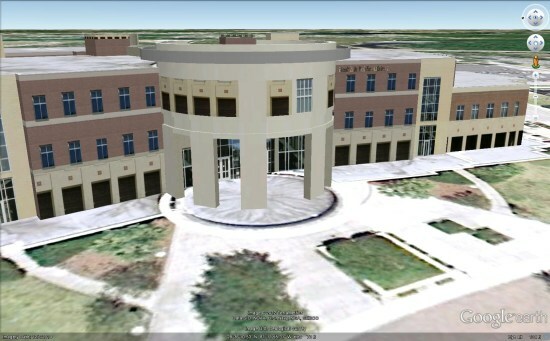 As you certainly have seen by now, we love to show off awesome 3D buildings that our readers create. Recently we’ve shown you items such as the Evansville Central Library, the Costa Concordia and the Android statues at Google headquarters. Today’s models come from Chris Sardinas at CS3Design. They’ve been working on modeling the campus of the University of Central Florida and they’re doing an amazing job with it. One great example is the Health and Public Affairs Building, seen below. You can download it from the Google 3D Warehouse here. The new model from CS3Design looks far better! 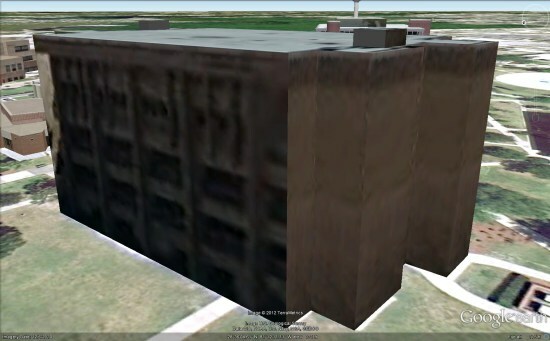 Many of their buildings are not yet in the default 3D layer in Google Earth, so they’ve put together a Warehouse collection to make it easy to find all of them.